Washington: NASA researchers have pinpointed the exact position of Saturn and its family of moons to within about four km – a feat that will improve astronomers’ knowledge of Saturn’s orbit and benefits spacecraft navigation and basic physics research. They paired NASA’s Cassini spacecraft with the National Science Foundation’s Very Long Baseline Array (VLBA) radio-telescope system to achieve this. The measurement is some 50 times more precise than those provided by ground-based optical telescopes, the US space agency said in a statement. “This work is a great step towards tying together our understanding of the orbits of the outer planets of our solar system and those of the inner planets,” said Dayton Jones of Jet Propulsion Laboratory in Pasadena, California. The team used the VLBA — a giant array of radio-telescope antennas spread from Hawaii to the Virgin Islands — to pinpoint the position of Cassini as it orbited Saturn over the past decade by receiving the signal from the spacecraft’s radio transmitter. They combined this data with information about Cassini’s orbit from NASA’s Deep Space Network. The combined observations allowed the scientists to make the most accurate determinations yet of the position of the centre of mass of Saturn and its numerous moons. The improved positional information will help enhance precise navigation of interplanetary spacecraft and help refine measurements of the masses of solar system objects. 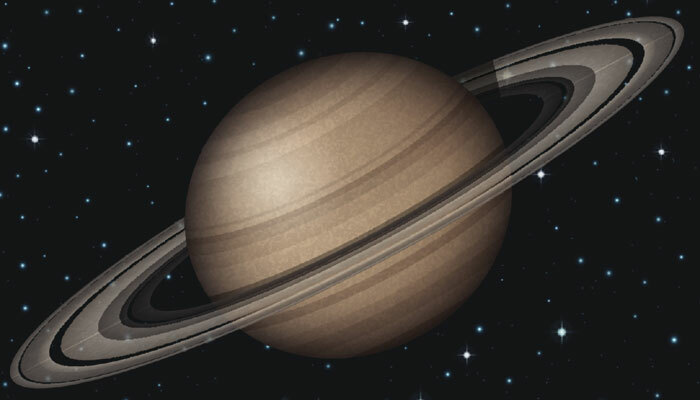 It will also improve predictions of when Saturn or its rings will pass in front of background stars – events that provide a variety of research opportunities for astronomers.